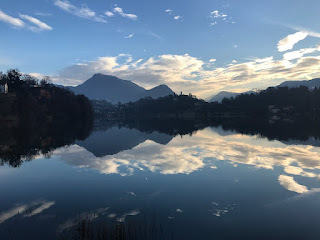 February is an exciting time to be on Franklin's beautiful campus, not too far from the historic city of Bellinzona, the capital of the canton Ticino in Switzerland, famous for its three castles (Castelgrande, Montebello, Sasso Corbaro) that have been UNESCO World Heritage Sites since 2000. Yes, it is always nice to be within a 20 minute train ride of a beautiful medieval city full of castles, and February is a particularly exciting time because of the city's carnival festivities. 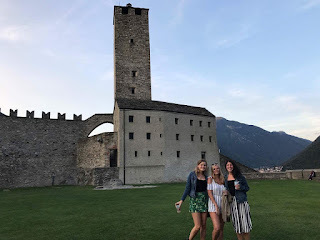 Every year, the capital of Ticino practically shuts down and welcomes its "doors" to 150,000 guests from other parts of Switzerland and Italy.